President Clements welcomes Haworth President and CEO Franco Bianchi to the podium. In May, the University announced a partnership between the Watt Center and Haworth Inc., an innovative international company in furniture and organic workspace design and products. The partnership is a comprehensive engagement in collaborative research activities, product use and demonstration, and philanthropic support. Haworth Inc. has pledged a gift of $3 million to the Watt Center, including $800,000 in research funding and a $2.2 million gift-in-kind of interior products. This is Haworth’s first engagement with Clemson University. 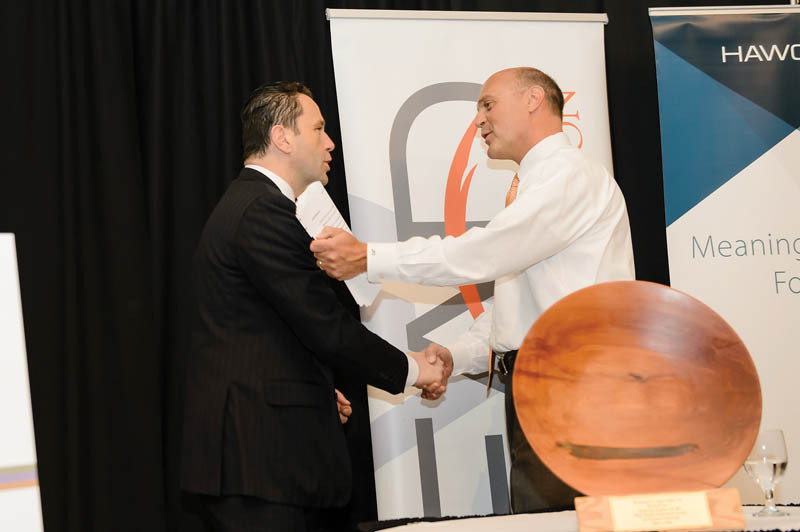 Franco Bianchi, who has led Haworth as president and CEO since 2005, visited Clemson in 2013 and has a strong relationship with Watt Center director Charles Watt. “At Haworth, we value continuous education and the innovative schools and programs in our communities that never stop exploring and teaching. Haworth is proud to support Clemson,” said Bianchi. The Watt family gift and the Haworth pledge are part of the University’s Will to Lead campaign to raise $1 billion to support students and faculty with scholarships, professorships, facilities, technology and enhanced opportunities for learning and research. Students will benefit from scholarships, additional experienced faculty and new state-of-the-art classroom space thanks to the continuing investment of Joe Erwin ’79 and his wife, Gretchen. The co-founders of Greenville-based advertising and marketing firm Erwin Penland gave two new gifts totaling $1.08 million to benefit the University’s Erwin Center for the Study of Advertising and Communication, $800,000 to further the center’s programming and $208,000 to establish the Eugene and Valerie Getchell Scholarship Endowment. Named for Gretchen Erwin’s parents, the endowment allows Clemson to offer two need-based scholarships each year to students studying in the Erwin Center, beginning this year. The gifts are part of Clemson’s Will to Lead campaign. The Erwin Center was created in December 2012 when the Erwins gave a lead gift of $1.05 million. Clemson’s Call Me MISTER program has received $1.3 million from the W.K. Kellogg Foundation of Battle Creek, Mich., to collaborate with Jackson State University to increase the number of African-American male teachers in Mississippi K-8 classrooms. The three organizations gathered on campus to commemorate the collaboration and grant. 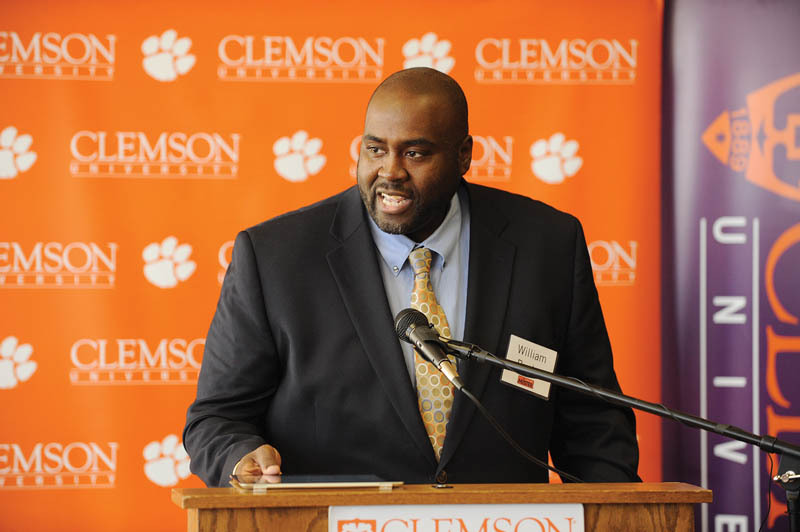 Clemson established the now nationally recognized Call Me MISTER program in 2000 to increase the number of African-American males teaching in South Carolina K-12 schools. MISTER stands for Mentors Instructing Students Toward Effective Role Models. After more than a decade, there is a 75 percent increase in the number of African-American male teachers in South Carolina’s public elementary schools. The program has expanded to 17 colleges in South Carolina. Nearly 100 students are enrolled in the program in six additional states: Florida, Kentucky, Pennsylvania, Virginia, Mississippi and Georgia. 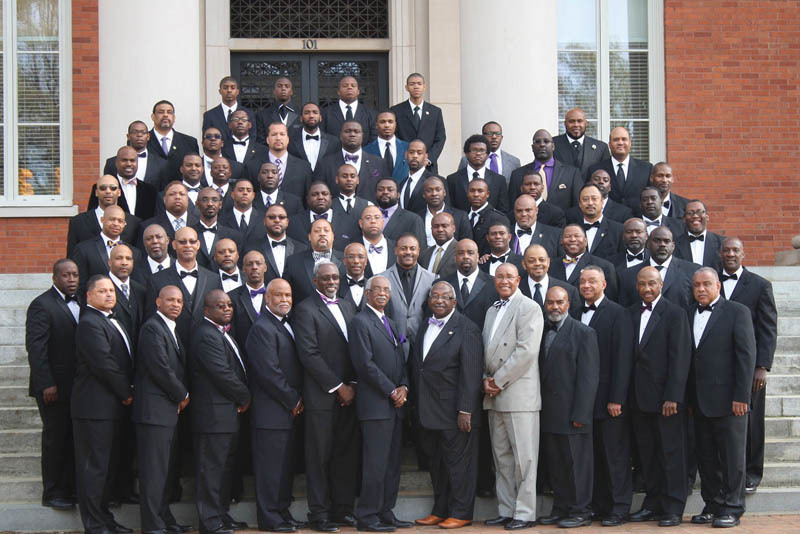 This spring, the alumni brothers of the Chi Zeta Chapter of Omega Psi Phi fraternity returned to Clemson to celebrate the chapter’s anniversary. Forty years ago, a group of students chartered the first black Greek-lettered organization on campus. Since then, 122 brothers have been initiated, and more than 90 of those returned for the reunion. Chi Zeta took a leadership role during the 50th anniversary of the ending of segregation at Clemson. The “50 for 50” campaign was designed to celebrate 50 years of integration at Clemson by creating 50 diversity endowments, with a goal of fully funding the endowments within five years. Chi Zeta saw this as an opportunity to create its own endowment to provide financial support for deserving undergraduate students now and for years to come. Chi Zeta met its commitment within four months and awarded the first scholarship in the fall of 2013. To mark its 40th anniversary as a campus organization, the alumni brothers of Chi Zeta raised another $25,000, which doubles the endowment to $50,000. With these additional donations, the brothers of Chi Zeta, in conjunction with Mrs. Veronica Clinkscales and the Clinkscales family, were able to establish the Dr. William C. Clinkscales Sr. ’74 Diversity Scholarship Endowment honoring her late husband, one of the founding brothers of the fraternity. 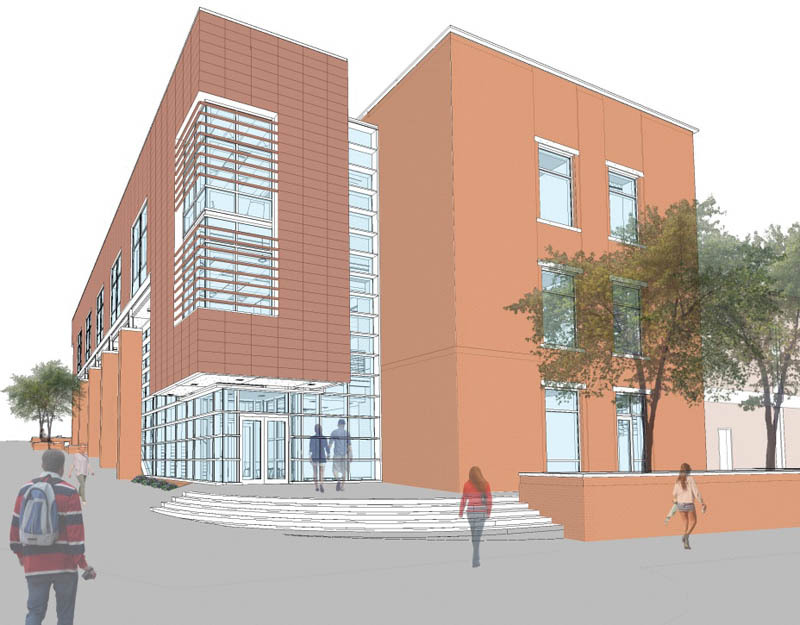 Freeman Hall is expanding to make room for rapid growth in the industrial engineering department. The $10-million addition will include new offices, conference rooms and a 108-seat auditorium, and will include additional room for a fast-growing online Master of Engineering in industrial engineering with an emphasis on supply chain and logistics that has been supported by Fluor Corporation. The program now has about 120 students and is expected to grow to 160. Growth in the industrial engineering department underscores the power of philanthropy and the importance of Clemson’s long partnership with Fluor. Fluor contributed $1.5 million in 2013 to create the Fluor-Clemson International Capital Projects Supply Chain Partnership to help with the online program’s expansion. C.J. 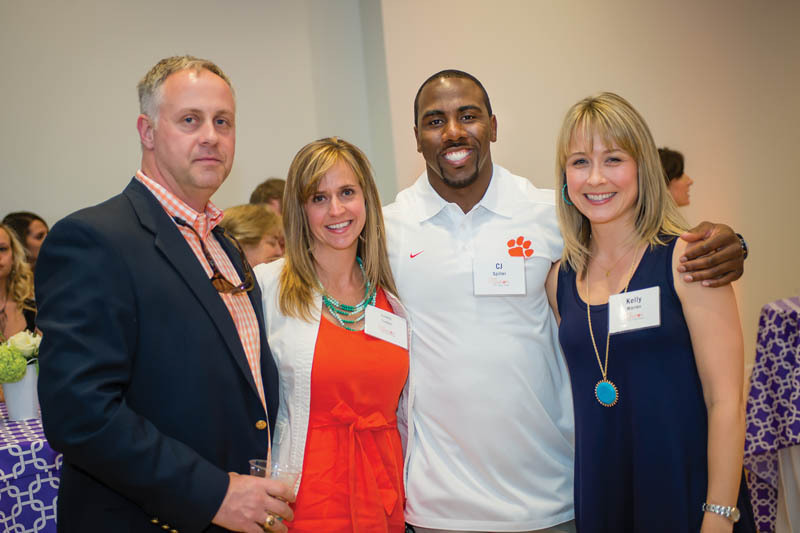 Spiller ’09 was one of the more than two dozen legendary Clemson athletes who were in attendance at the One Clemson Main Event, held in April at the ONE Building in downtown Greenville to support athletic and academic scholarships. Auctioned items included a personal “C.J. Spiller Experience” at a Buffalo Bills game and golf with PGA Tour players Charles Warren and Ben Martin. Proceeds benefit the One Clemson scholarship initiative, a part of the Will to Lead campaign.